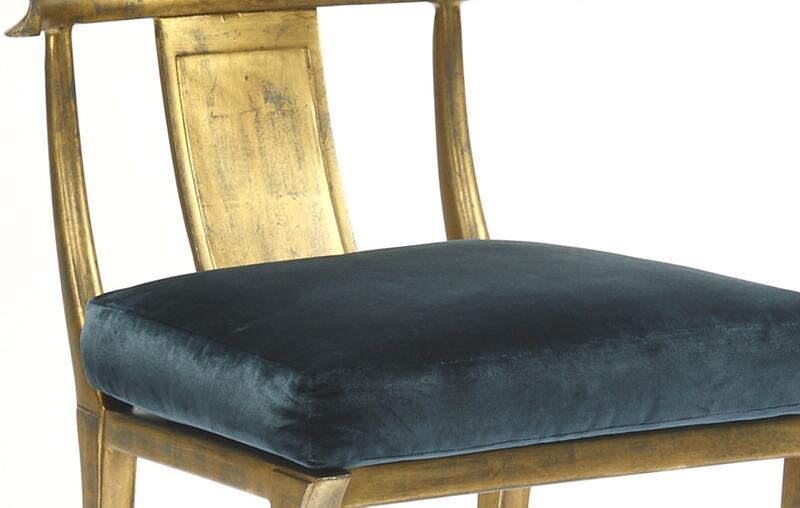 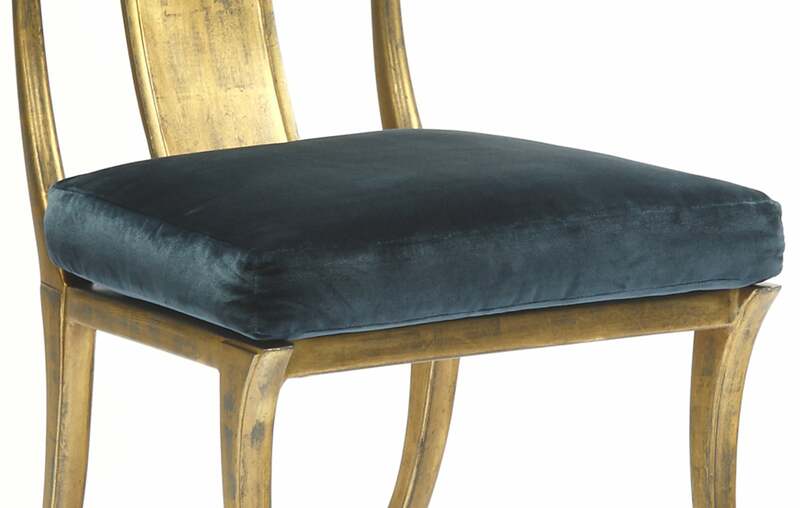 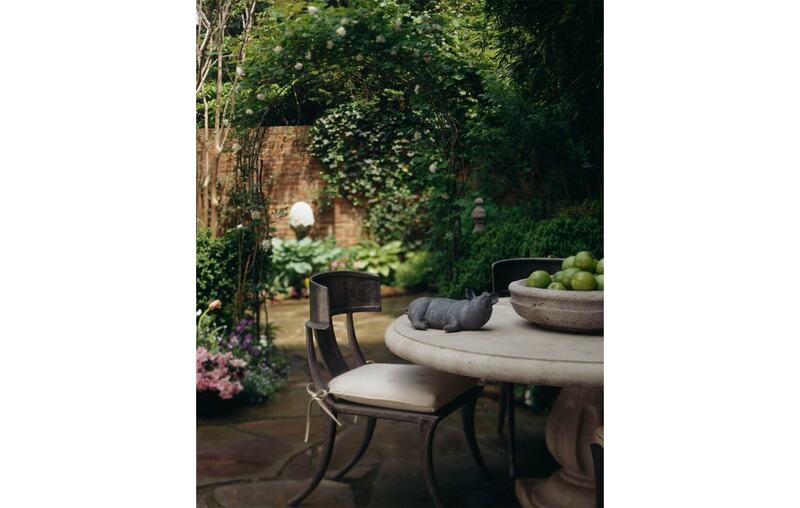 Typically seen as an outdoor design, the charm of the Garden Chair comes indoors with this exclusive gilt finish. 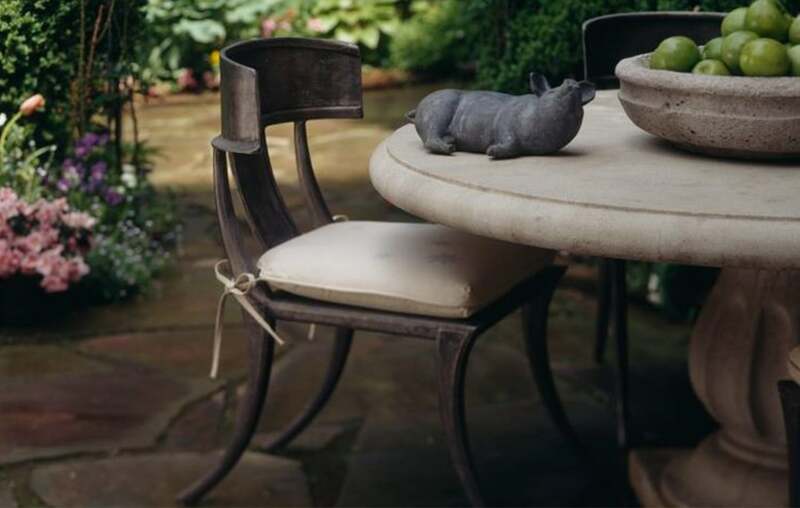 Composed of the simple, elegant lines of the classic Greek Klismos chair, this piece is cast in resilient aluminium and features a plush loose seat cushion. 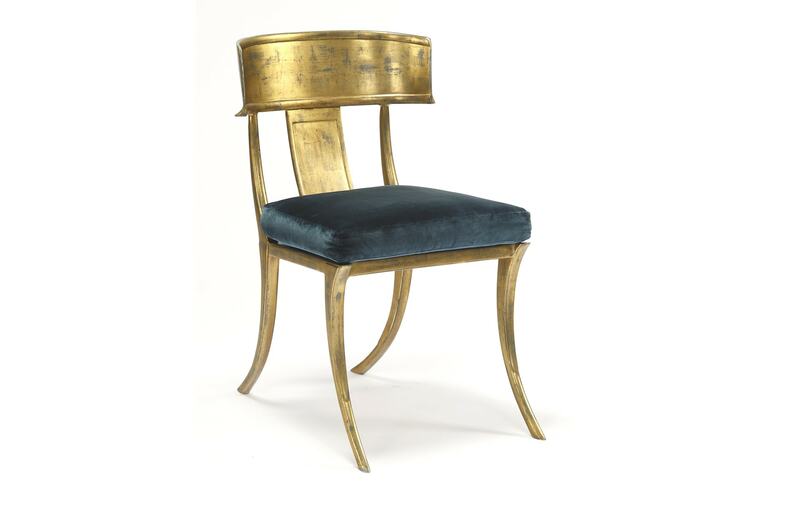 A piece of shimmering beauty, this chair is handmade by Michael Taylor Designs, a specialist studio famed for using historically inspired techniques to craft the finest furniture in the world.